Coding is the New Literacy is a Ruby programming bootcamp located in Dehli, India. The program is 17 weeks long consisting of a 7 week workshop component and a full time immersive on-site component. The workshops are meant as preparation to make students proficient in Ruby and get them level with other students. Students do not have to have prior experience with coding. CNL give students access to their recruiter network. The course concludes with a final group project that is presented on a demo day for some of the companies who are recruiting. An email with these details has been sent to Coding is the New Literacy. 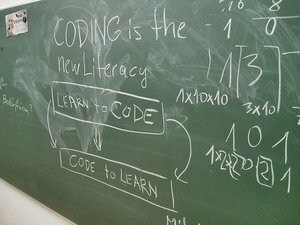 You've already applied to this scholarship with Coding is the New Literacy.